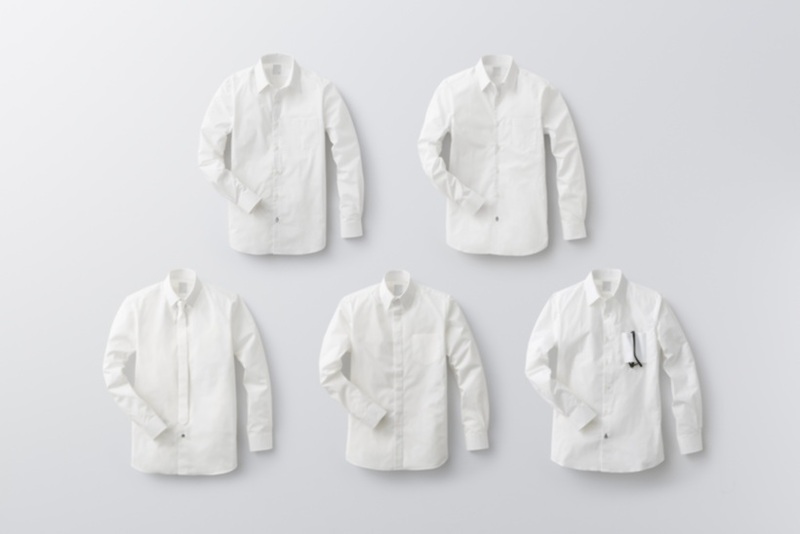 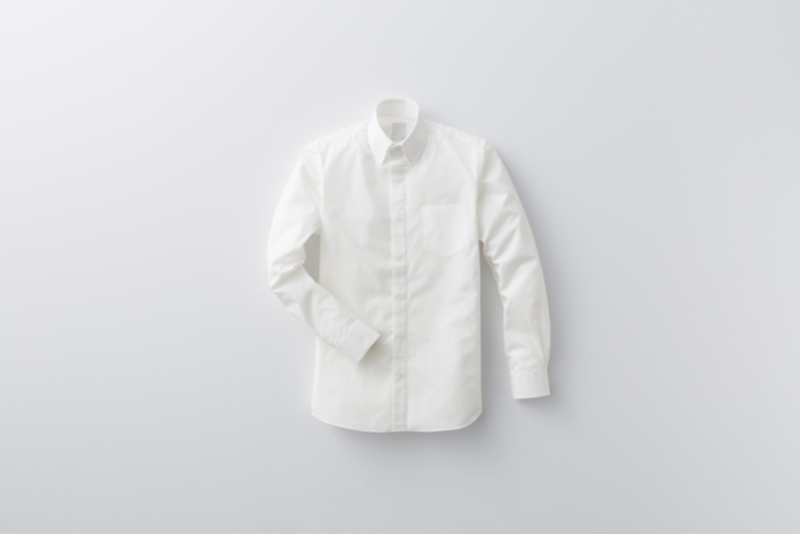 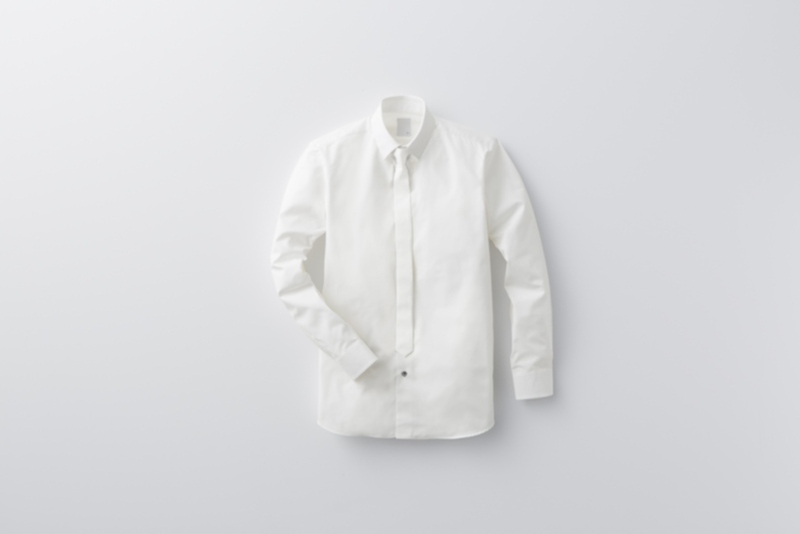 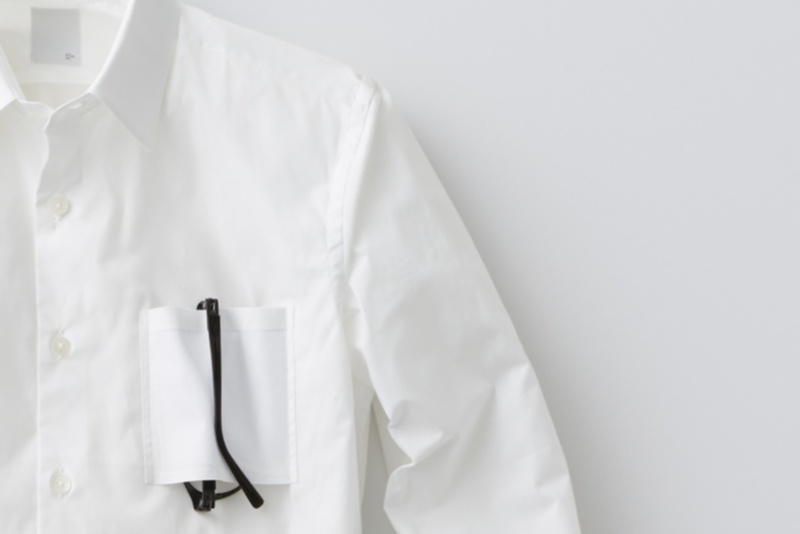 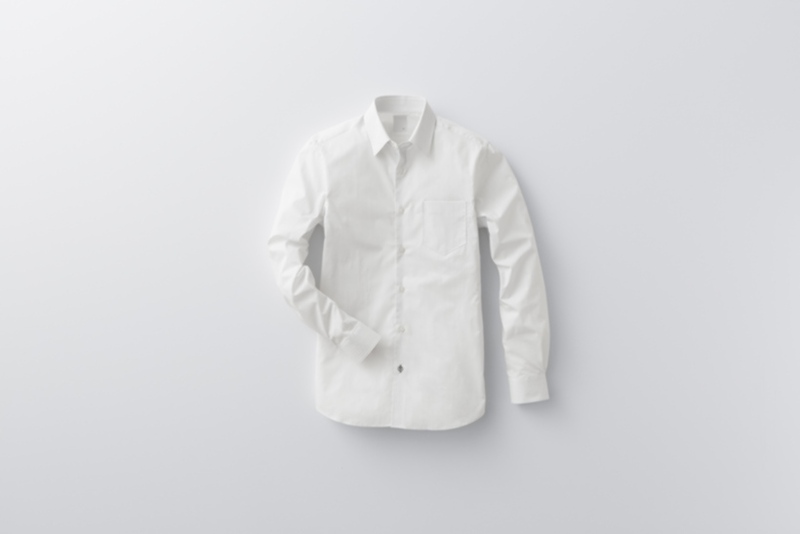 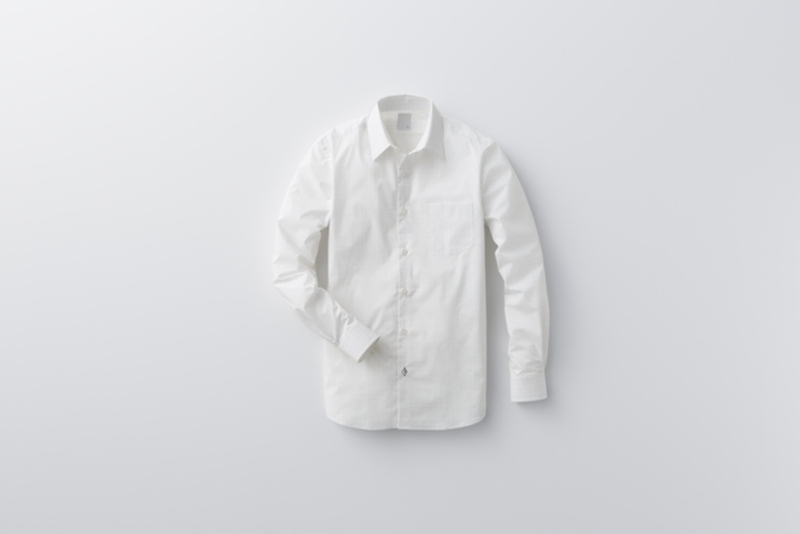 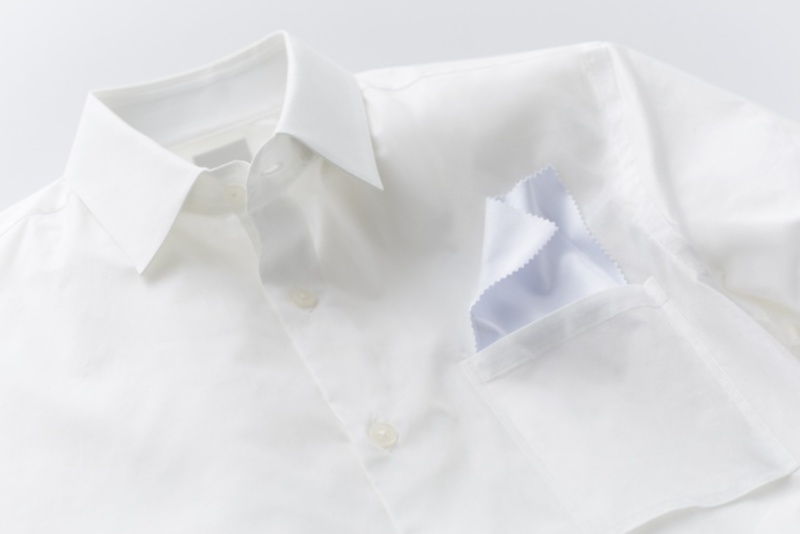 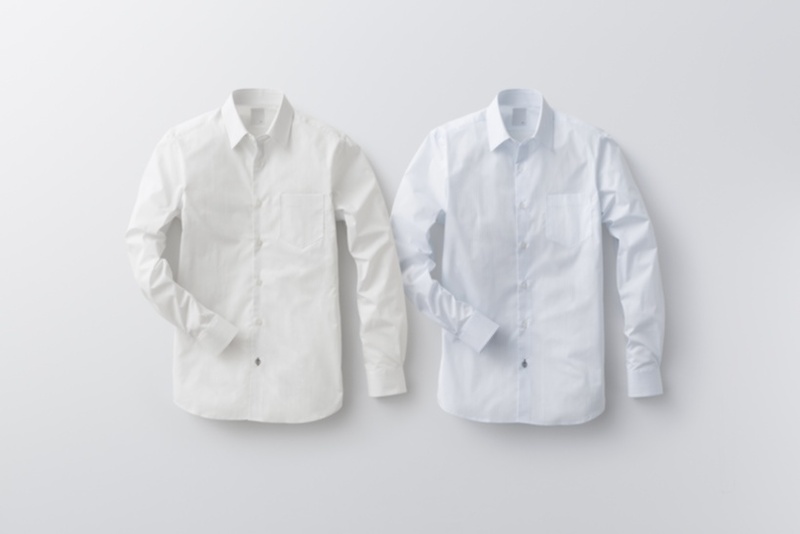 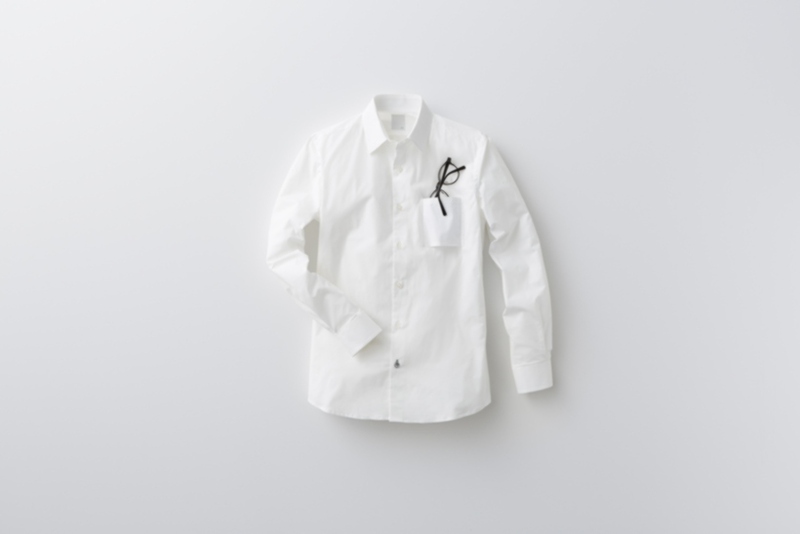 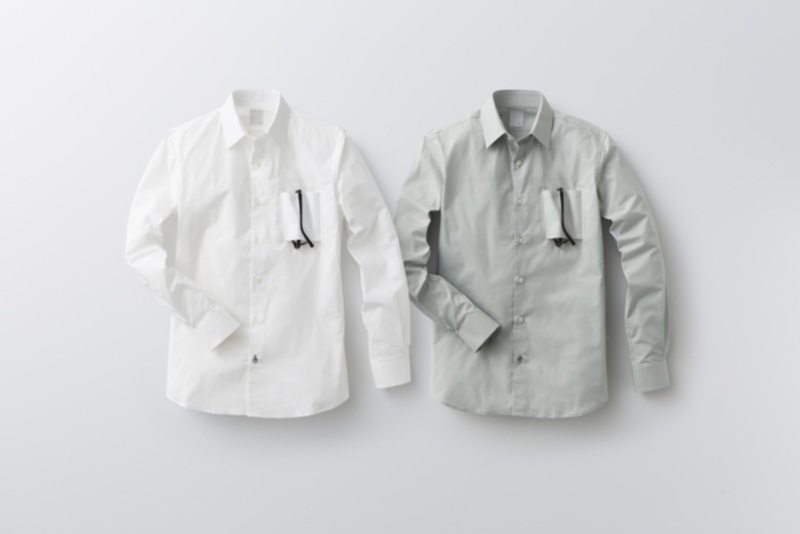 A men’s shirt collection born from the concept of gently fusing things found around shirts into the shirt itself. 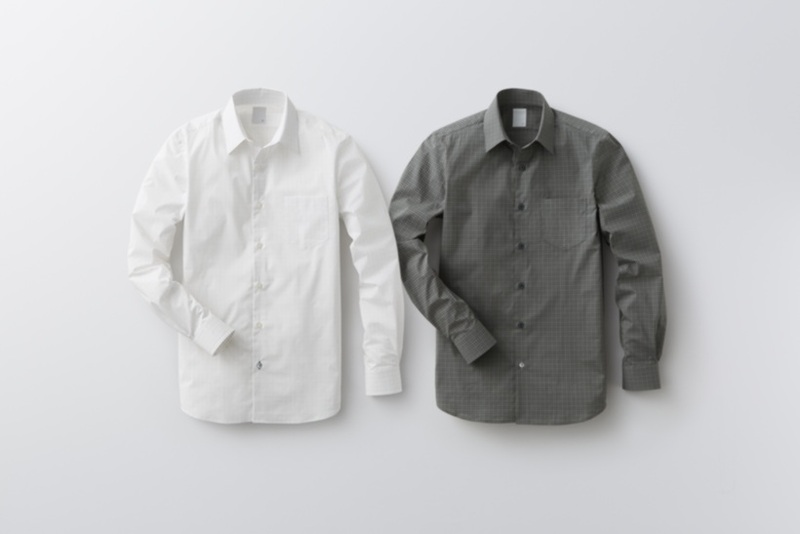 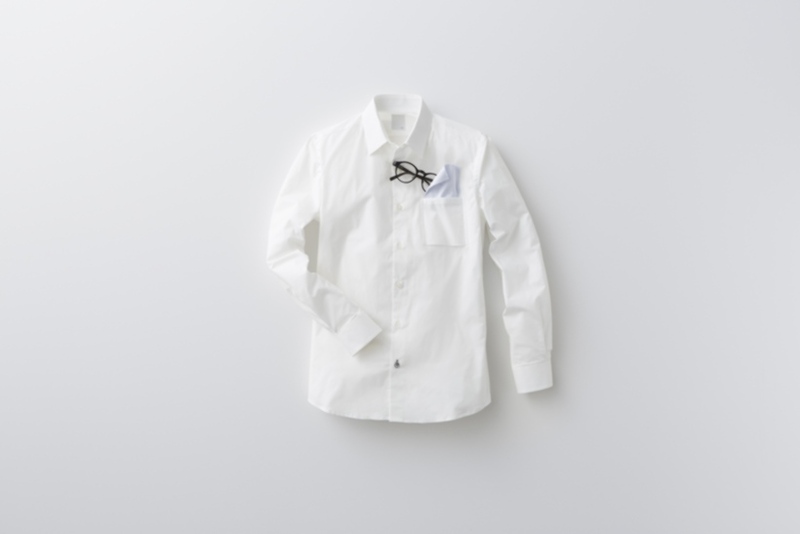 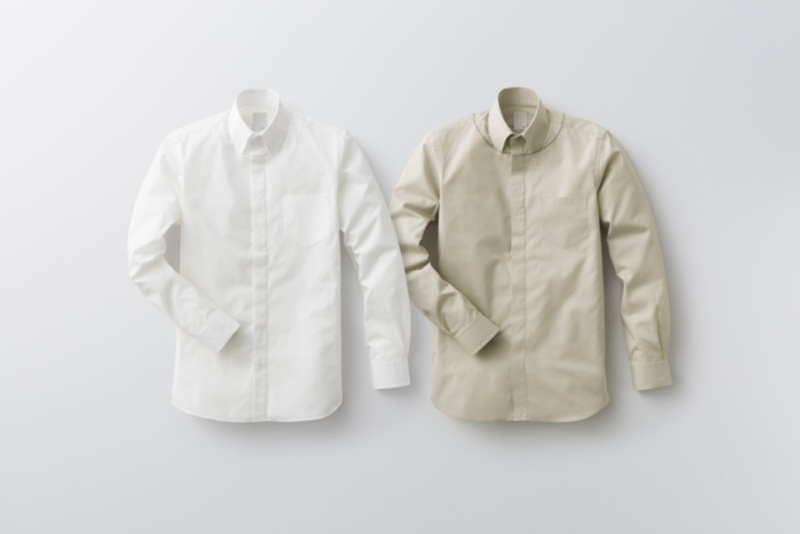 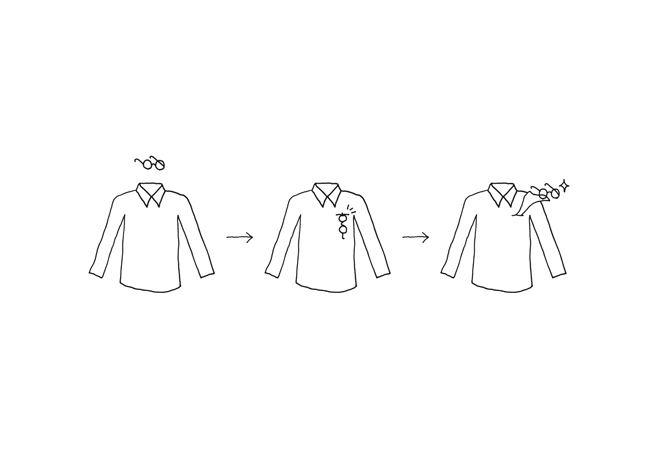 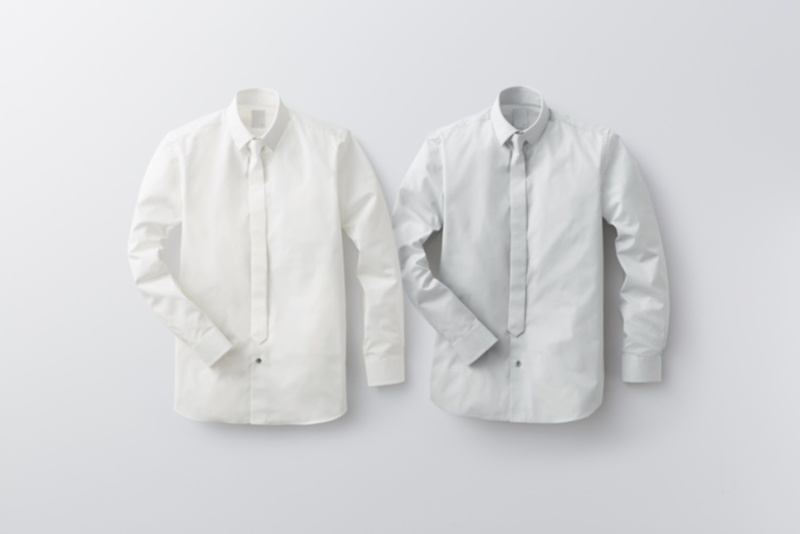 Things ‘fused’ include accessories like neckties and sweaters worn with shirts, as well as products often found close to shirts such as glasses and pens. 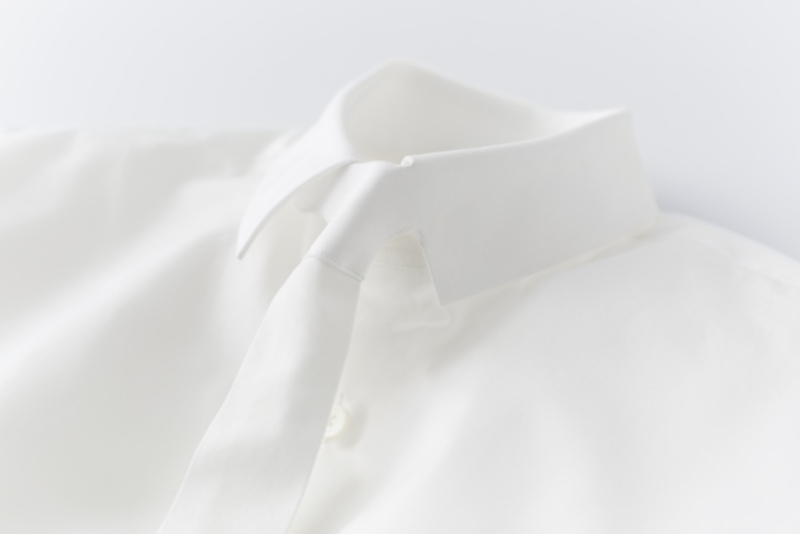 We made an effort to include details that would seem ordinary at first glance, but bring surprise when viewed more closely. 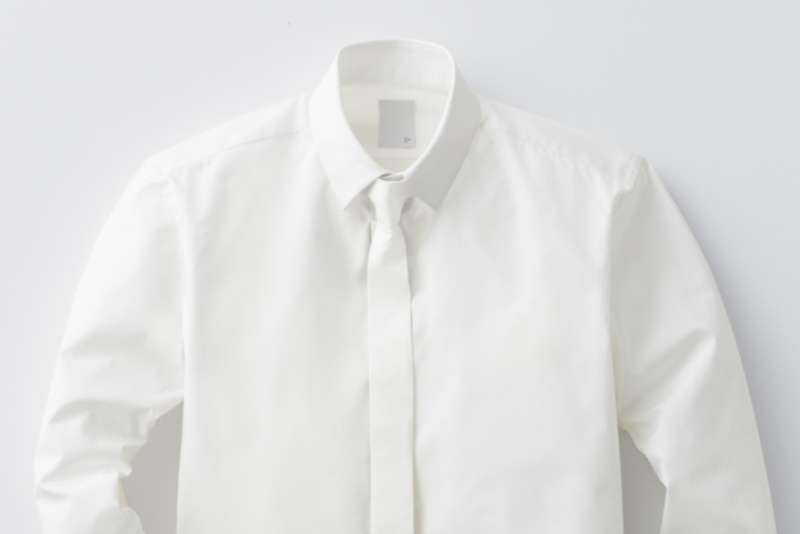 One side of the collar has fused with the tie knot, and the front placket looks like a necktie. 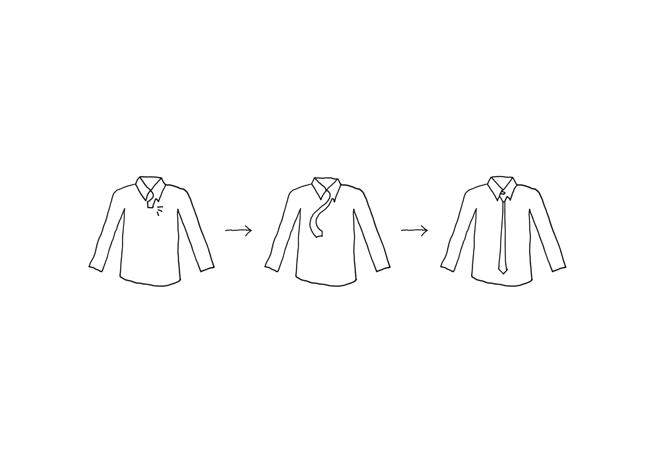 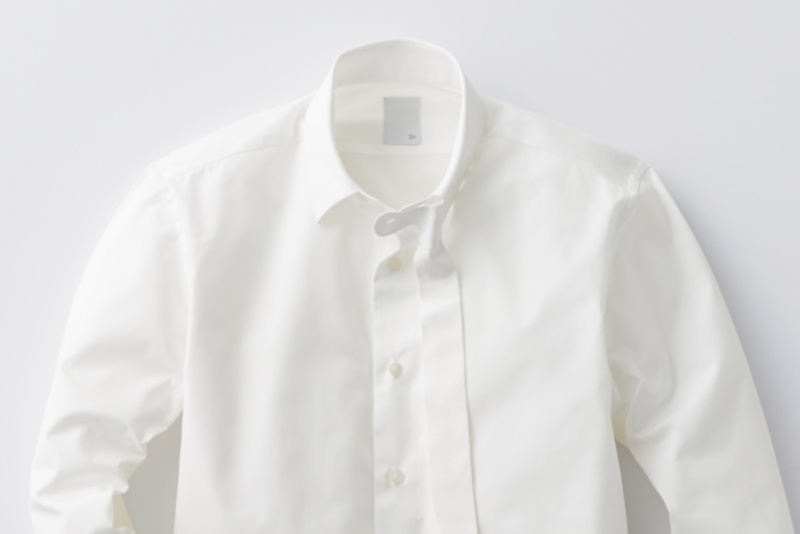 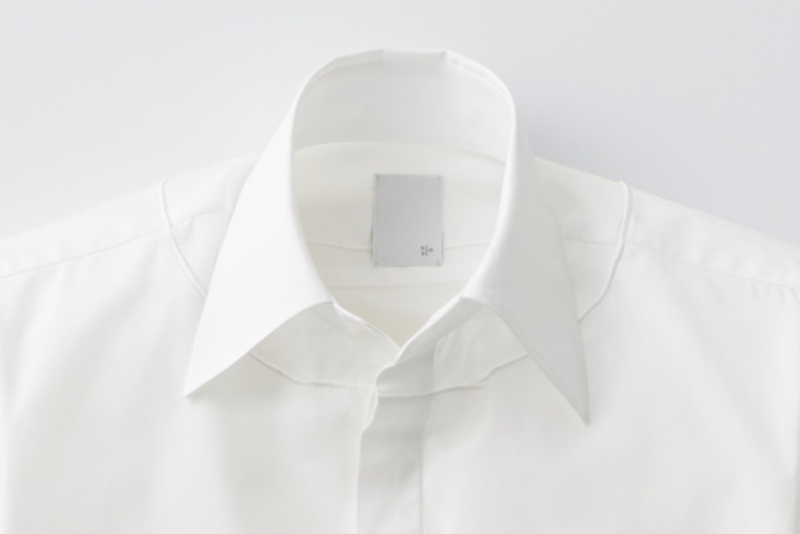 A design that makes it impossible to tell where the shirt stops and the necktie begins. 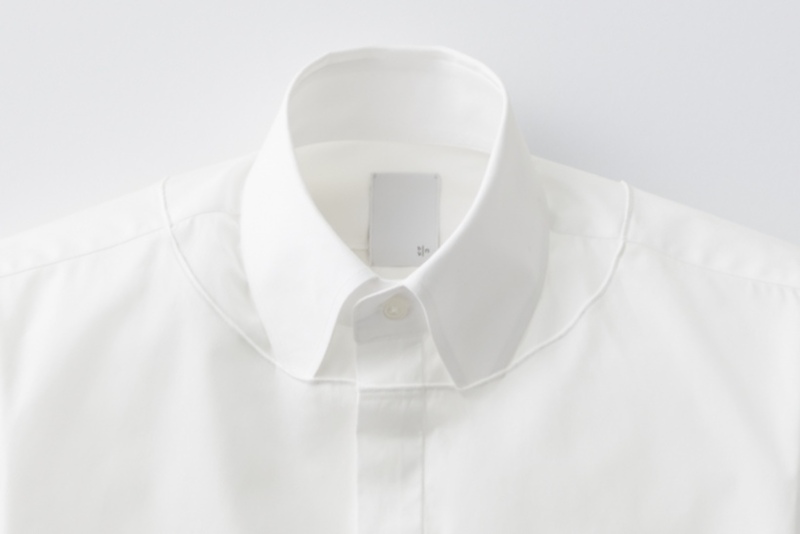 A shirt that emphasises the way a shirt peeps out from the collar when worn with a sweater. 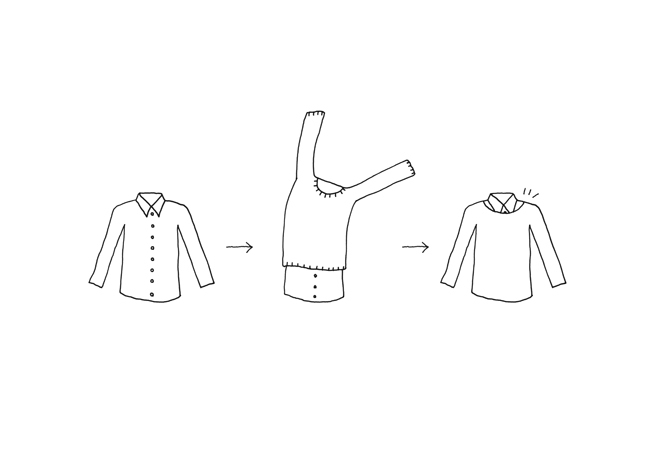 Part of the shirt collar hides underneath the ‘sweater’ collar, itself picked out with stitches. 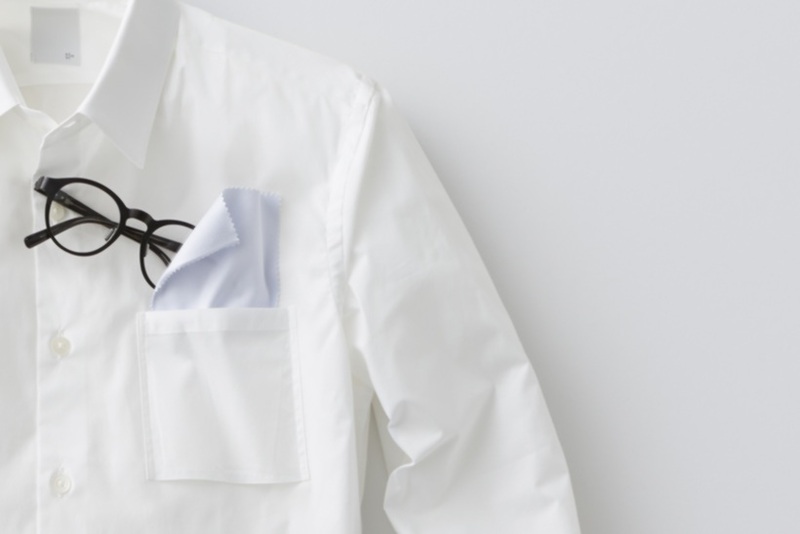 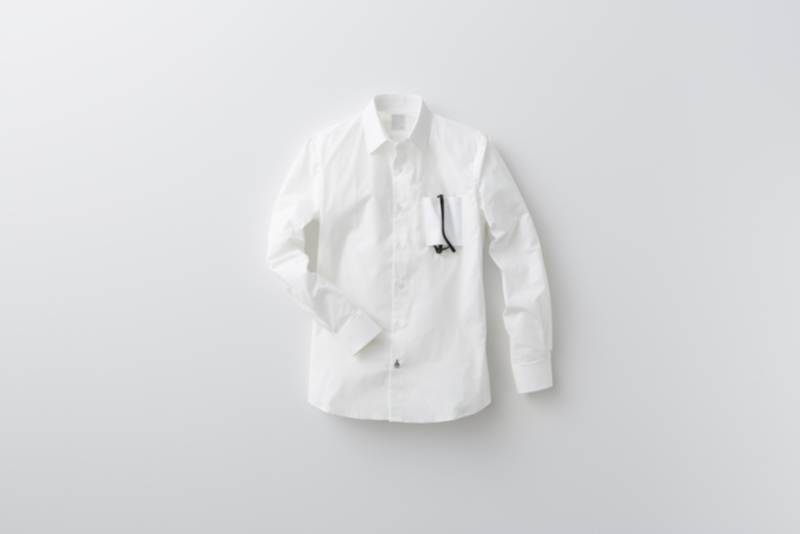 A shirt with a bottomless breast pocket, for hanging one’s glasses. 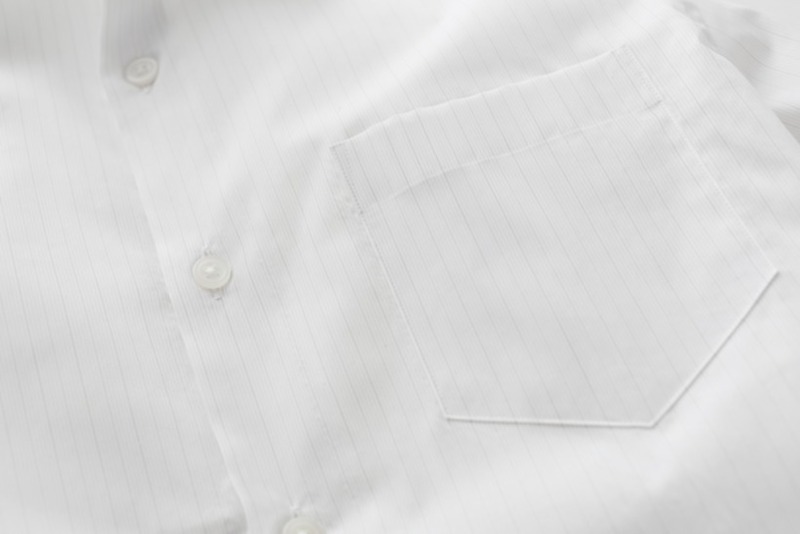 A cloth for wiping glasses clean is sewn into the pocket, too. 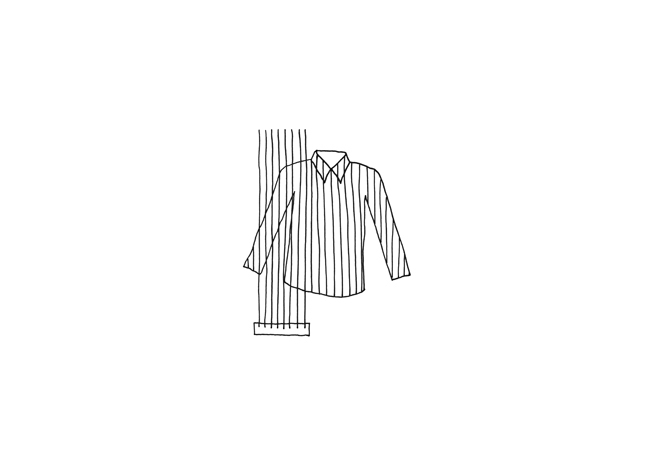 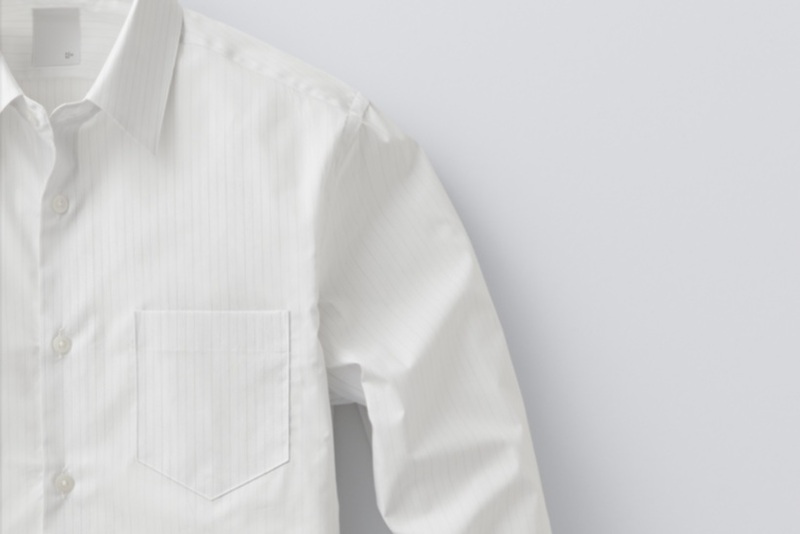 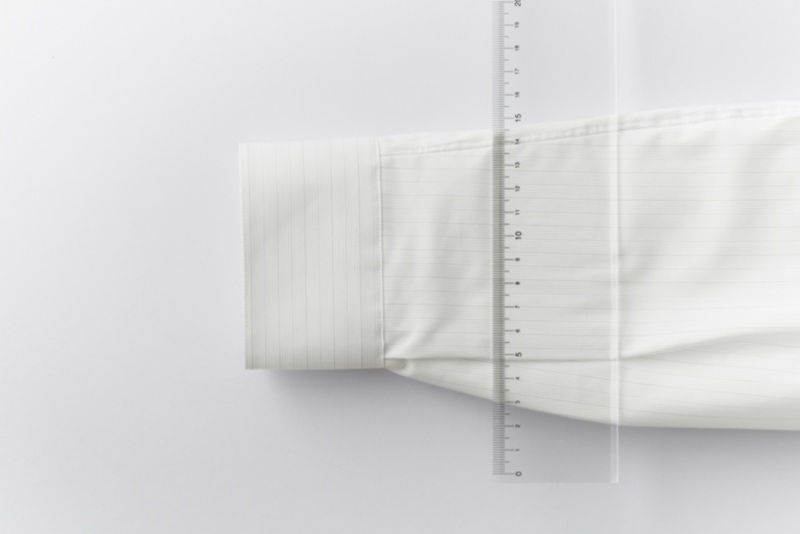 A striped shirt whose stripes derive from the marks on a standard office ruler, extended into full-length stripes. 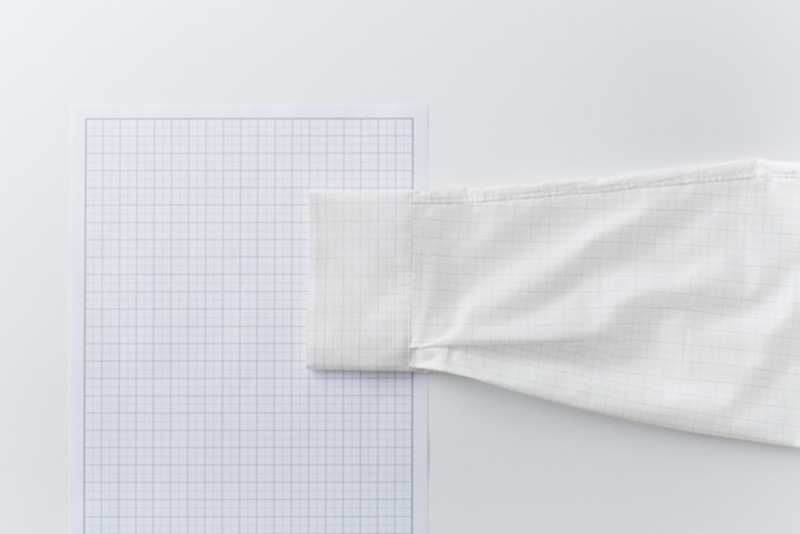 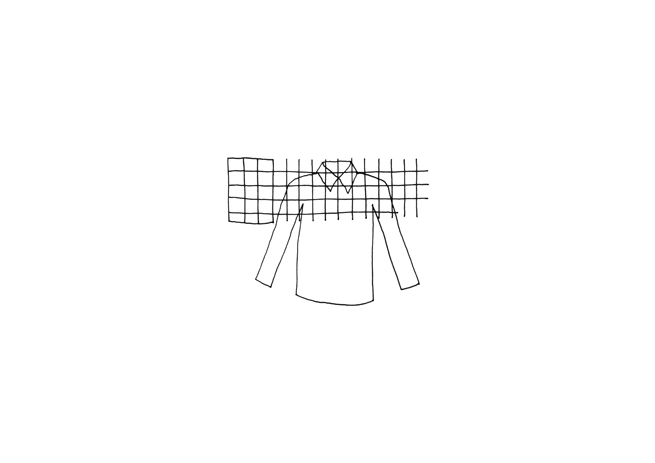 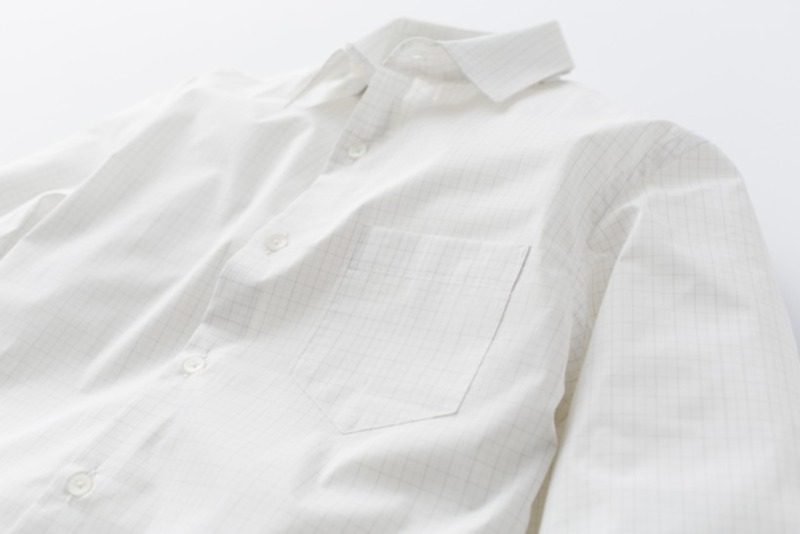 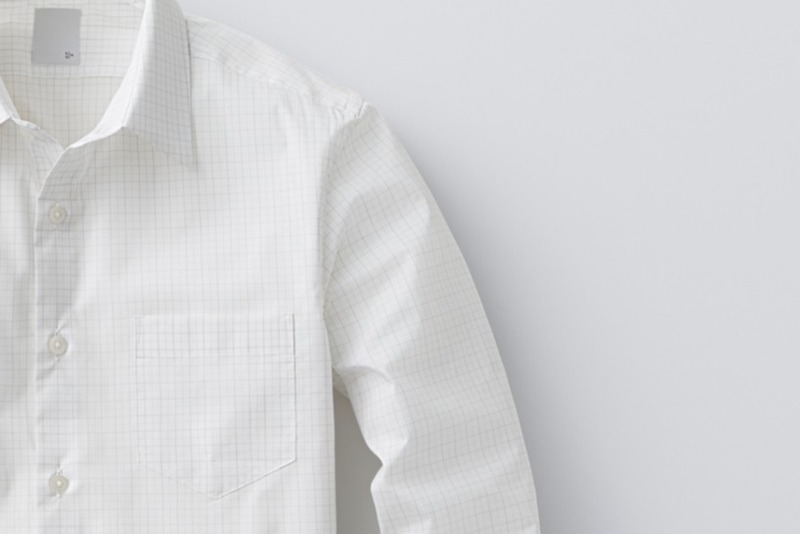 The grid on graph paper, transformed into a shirt pattern.